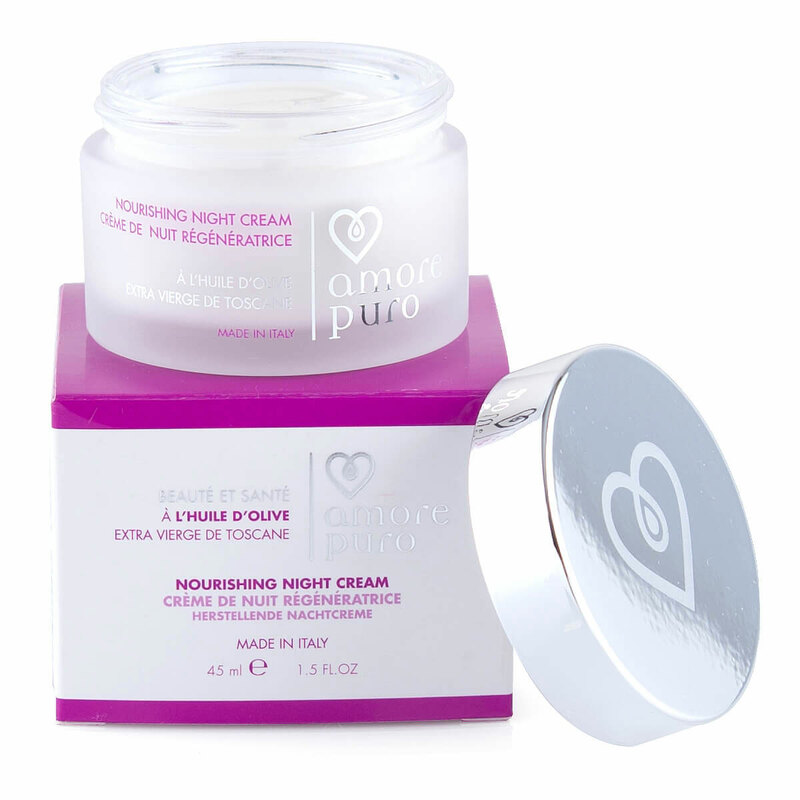 Amore Puro gift set with purifying mask, day cream & night cream based on Extra Virgin Olive Oil. Give your body the best possible natural care based on Extra Virgin Olive Oil and take a daily one way ticket journey to Tuscany. A trio of luxurious skincare products makes a wonderful pampering gift for her or for him. Prepare the skin for a good night's rest with a purifying facial mask to clarify, detox, and firm the skin. The Extra Virgin Olive Oil gently removes impurities to rejuvenate naturally. The regenerative night cream is the next step in the evening routine. Extra Virgin Olive Oil nourishes the skin with a unique anti-aging action to improve the skin's firmness. After a great night's sleep, wake up feeling refreshed and start the day off right with Amore Puro's soothing day cream. It has a subtle mimosa fragrance to indulge the senses, and a unique composition of unsaturated fatty acids to replenish the skin's hydrolipid barrier while boosting cell regeneration. Refreshing fragrances, scientifically proven benefits, make a trip towards your well-being night after night.